Computer Science Online Tuition for Class 12 CBSE is available through online tuition. Tutormine, one of the best online tuitoring platforms, offers eminient tutors for live interactive one-to-one online tuition for all subjects right at the home of students. 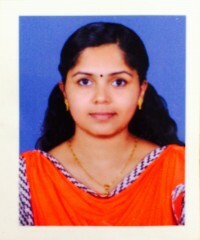 A double-post graduate (M. Phil and M. Tech) with 1.8 year experience in the field of teaching.Thoroughly enjoys working with children and encourages creative expression.Excellent Passionate Teacher offering tuition for Computer Science and Mathematics. I got second rank in M.G university M.Phil entrance examinations. Secured 80% and above marks in SSLC, plus two, M. Tech and M.Phil. QualifiedGraduate Aptitude Test in Engineering (GATE) in 2016. Also I published papers in national and international journals. As a Teacher, I use so many examples while teaching. I am passionate about teaching school students.